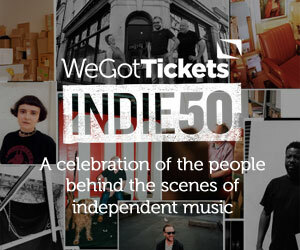 When WeGotTickets started out back in 2002 we wanted to provide an inexpensive way for venues and promoters to sell advance tickets to small events; the maximum 10% booking fee and a huge emphasis on treating customers well were two of the key points of our first mission statement. Essentially; be nice, don’t rip anyone off, and provide the kind of service we’d like to receive. It’s now 15 years later and we’ve sold millions of tickets to (mostly) happy customers and still place great customer service at the heart of our business – and by doing so, we present the venues and promoters we work with in the best possible light to their fans before their event even gets started. There are lots of theories – sometimes known as corporate retention strategies (yeah, really) – out there about the importance of providing good customer service, and how to provide it. They don’t all come to the same conclusion, but the one thing we can all agree on is that good customer support is pretty damn important. Manners don’t cost a penny, as the old saying goes, and they really don’t. What’s more, not being polite or attentive is far more costly than the effort it takes to be helpful in the first place – customer service experts reckon it takes on average 12 positive steps to help a customer overcome one negative experience. Sounds like a pain, right? 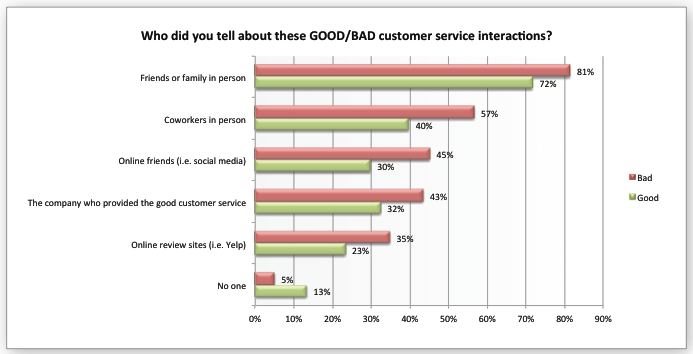 It gets worse; people are far more likely to share a bad customer service experience with their friends or on social media than a positive one. This graphic from our pals at Zendesk shows just how important providing good customer service – and not providing bad customer service – really is. The quality of customer support available may not be the biggest deciding factor when it comes to choosing who you sell your tickets with…but maybe it should be. Think of a situation where you are the customer and something goes wrong with your order or you have a general query. You’d want the best customer support available, right? Good customer service is powerful. It can make someone’s day and, when done well, has the capacity to win even the most stubborn customers over. This can turn them from one time buyers in to loyal customers, returning time and again to your venue or events because they know we’ve got their back and will look after them. We’ve all experienced both good and bad customer service and so we know how infuriating and disappointing it can be to have a bad experience. Similarly, we know how annoying it can be when customer service is over-the-top friendly and fake, but not necessarily helpful. Our approach to customer service is driven by how we, as individual consumers, would like customer service to be – swift, warm, genuinely helpful and, probably most importantly, human. There’s nothing worse as a customer than having a problem, or a query and having to wait for a response. This is even more amplified for event tickets, as they are time-sensitive – the film screening may be tonight and you have an urgent query, some hot gig tickets may be selling out fast and you’ve encountered a problem during the transaction or it’s the day before the festival and you’ve misplaced your booking details. As a customer, panic ensues. Any waiting around for a solution or help will only exacerbate your frustration or stress. This is why response times is such an important factor for customer support, especially in the live events industry. According to STELLA Service, a survey conducted of the top 100 e-tailers gave an average customer support first response time of 17 hours. We’re proud that despite our agreement of responding to all queries within one working day, the majority of incoming queries are dealt with and completely resolved within 8 hours – and we keep a special eye out for any time-sensitive queries. We’d like to think we’re an efficient bunch, dealing with queries swiftly and effectively without compromising on the quality of support we provide. In the last 18 months we’ve dealt with over 55,000 customer issues – which equates to over 3000 a month – not bad for a small team of four. We’re a small enough team to provide a personable experience, yet thanks to support desk tools such as Zendesk and Freshdesk, we are able to efficiently deal with large volumes of queries without losing our personal touch. A small and collaborative close-knit team is also more accountable for the support it delivers than bigger corporations that have large-scale customer service operations. Events are supposed to be enjoyable affairs (whether they’re leisurely and relaxing or so mental and loud that you lose your hearing! ), so why should the process of buying tickets for those events be any different? We know the ticketing industry can be perceived as a bit shady at times – historically high booking fees, hidden fees, ticket touts and the dodgy resale of tickets at inflated prices, to name just a few sources of frustration. This is why we feel even more determined to provide a positive customer experience and live up to our ‘simple, honest ticketing’ slogan. No company can claim to do customer service perfectly, because there’s no such thing, but we know we’re going along the right lines. In our recent Your Take On Ticketing survey over 10,000 ticket buyers told us what they want from a ticket company. When 78% of them told us that being able to easily reach a customer service team was important when deciding where to buy tickets, we felt vindicated in our decision to make customer service the foundation on which WeGotTickets was built. That over 70% of those ticket buyers had been satisfied with the service we provided gave us a warm, fuzzy feeling (about 5% were unsatisfied… you can’t please everyone, right?!). Those feelings of warmth and fuzziness got even warmer and fuzzier when the general public voted us winners of the Society of Ticket Agents and Retailers’ Outstanding Customer Service Award. 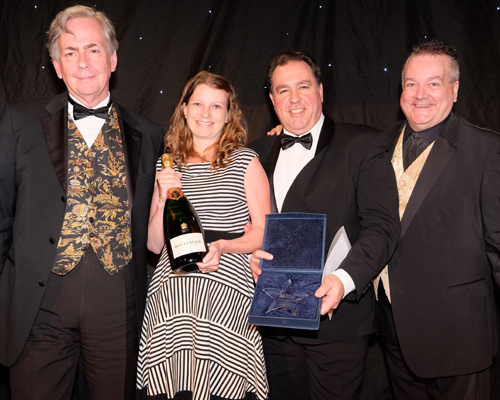 Our Support Team Leader Hanna Dixon collects the STAR & SOBOM Outstanding Customer Service Award from David Thomas (Deputy Chair, STAR), Jonathan Brown (Chief Executive, STAR) and Bobby Crush. We seek out great employees who are passionate about the industry and invest themselves personally in the organization. We’ve all had our fair share of ticket-buying experiences (some of them nightmares, though we won’t mention any names here… much as we’d like to!) and the majority of us have been involved in promoting events. Our experience as promoters, venue owners, musicians, music journalists and tour managers means we understand events from all angles and we appreciate that your ticket-buying gig-goers, comedy fans, film buffs and festival lovers aren’t just our customers, they’re yours too. And so we endeavour to provide a customer experience that you are proud to share with your ticket-buying customers. It’s important for any customer-facing business to be open to feedback on how they’re doing, and so we welcome yours. If you think there are ways in which we could provide better support to your event attendees then we’d love to hear about it. — written by Tannah Collier, Customer and Client Support Executive, WeGotTickets.